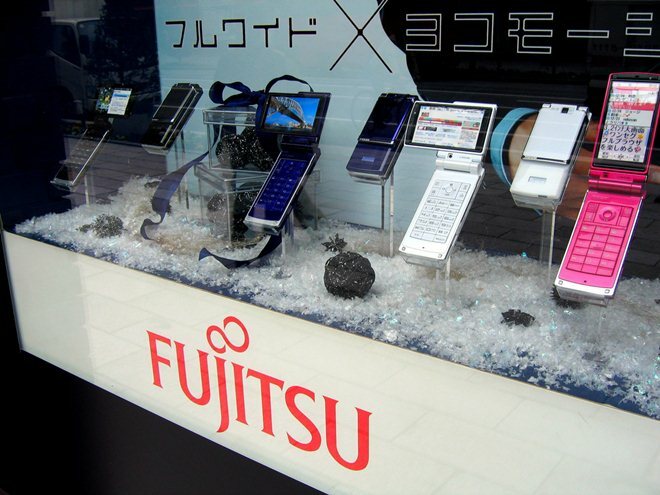 Japanese electronics maker Fujitsu is planning to enter Europe’s smartphone and tablet markets this year with the release of a number Android and Windows Phone 7-based devices, according to a report from the Financial Times. Fujitsu has confirmed that it is already in talks with operators about partnering to release the device as it targets “double digit” market share on the continent over the next three to five years. However, it is not confirmed if the “wide” range of device will be unveiled at the Mobile World Congress event this month. The company is not new to the mobile telecom industry as it has been producing and selling devices in its native Japan for some time, but its plan for Europe is an attempt to claim a stake a claim in one of the fast growing mobile industries and boost growth overseas. Europe is yet to see smartphone ownership rates hit that of America and, in spite of economic issues across the European Union, the smartphone industry is set for strong growth. As a report from Vision Mobile finds that the continent has a smartphone penetration rate of 51 percent — 12 percent behind the US — however that figure varies and is lower in a number of markets in the region. Fujitsu’s European expansion plans comes months after fellow Japanese manufacturer Panasonic revealed plans to step into the continent having previously been active there. The firms are looking to follow in the footsteps of Samsung, which saw record sales last year, Sony, which now wholly owns its mobile firm, and HTC, though the latter has struggled of late, its brand is recognised internationally. All of Japan’s remaining handset makers announced plans to internationalize, after years of doing good business in their home market. Japan’s population is greying and ageing, the smartphone boom paved the way for makers from the US, China, Korea and Taiwan to enter the once closed Japanese market, and all domestic makers took too long to switch to smartphones. Fujitsu will have a hard time, as it lacks the economies of scale that its competitors, such as Samsung have. Japanese device makers ship over 30 million handsets per year, of which 10 percent accounts for Samsung alone. Fujitsu makes solid phones, but I don’t see any models that offer unique selling points, neither from a technical nor from a design point of view. They are clearly behind the competition. The devices will borrow a number of features from Japan’s market, including mobile payment system NFC and LTE mobile broadband technology. The Financial Times report also states that the device will include fingerprint access to the device, to help secure the payment system and data on board. Fujitsu has been strongly rumoured to move into Europe, and it remains to be seen if its devices will be a hit or indeed what demographic they will target. Asian device markers like ZTE and Huawei have seen success with lower cost devices, but Japanese firms have tended to aim for mid- to high-tier phone instead. Note: The devices featured in the image above are of Fujitsu phones in Japan not its new range for Europe.